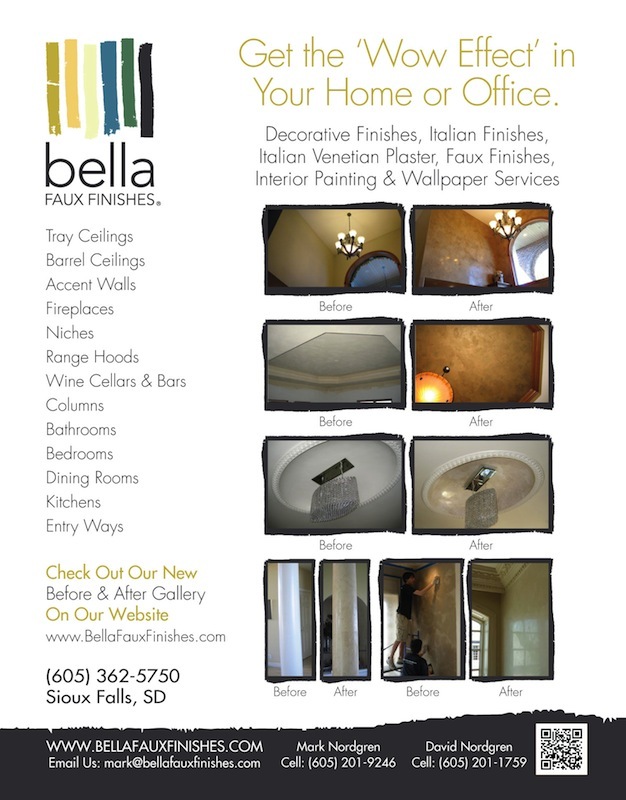 Free… “Bella Wow Checkup!” – Every Home or Business should Call or Text…… “Bella Faux Finishes – Artisan – David Nordgren” at (605) 201-1759 to schedule a Free… “Bella Wow Checkup”! Furniture Stores – Before you pull the plug and spend your entire budget on New Furniture and Accessories, I would encourage you to compare which will create the most… “Wow’s”, when friends and family visit your home. I am not saying… don’t buy any new furniture, just set aside some of your budget for “The Wow Effect”! It is so easy to pour all of your capital into one store and still not create the drama you are looking for on your project. If you Don’t Budget for “The Wow Effect” – don’t be surprised if your Home or Business isn’t creating the Drama you were hoping it would. 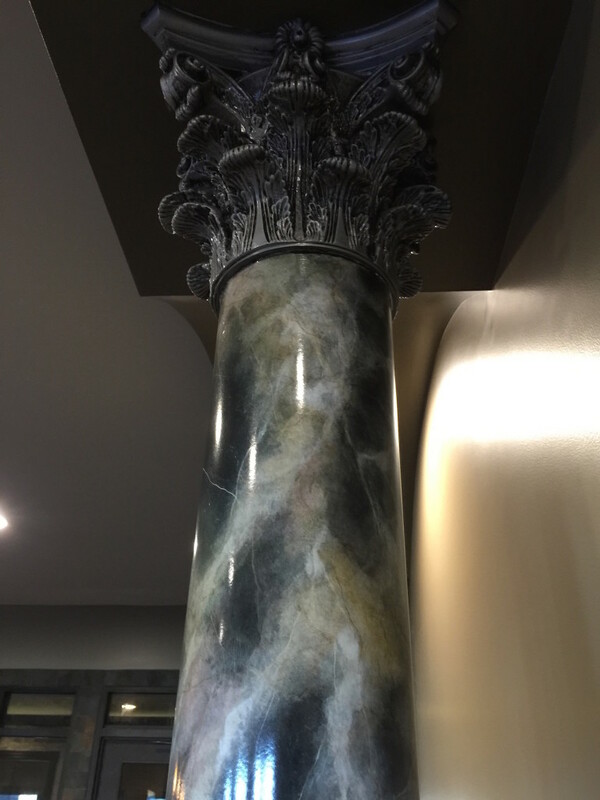 Dollar for Dollar, The Perfect Decorative Finish introduced on a Unique Opportunity in your Home or Business will create more Wow’s than any Couch, Wing Chair, Picture, or Accessory. It isn’t even a Contest! 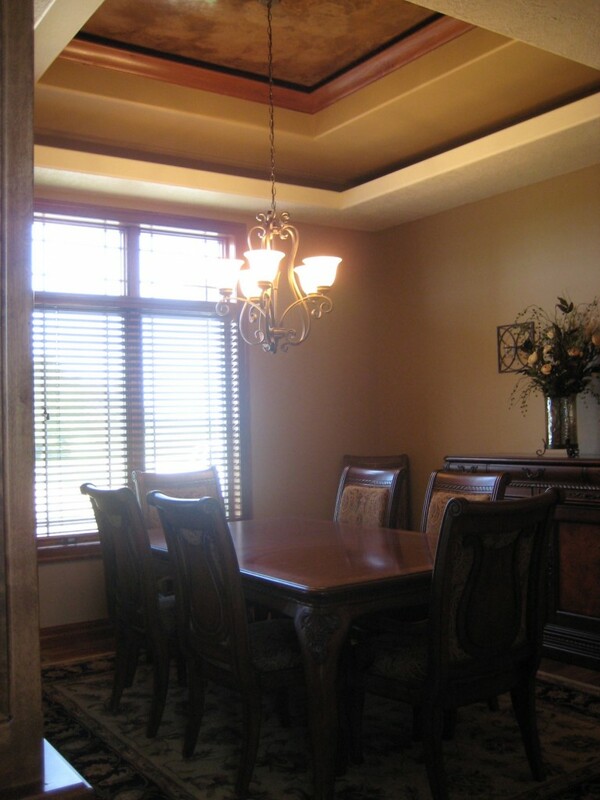 First Step, Reserve a small portion of your budget for Bella Faux Finishes and “The Wow Effect”. Next, Call or Text David to schedule a Wow meeting. When we meet, we will help you identify where your Unique Opportunity is in your Home or Business. Then after testing many samples of Decorative Finishes from around the world, it will become obvious to all, which sample is creating the most drama and Wow with your other Furniture, Drapery, Carpet, Colors and Textures! Next, we will take pictures and measure your area. Your pricing will be emailed to you in 1 or 2 days…. It’s that easy! 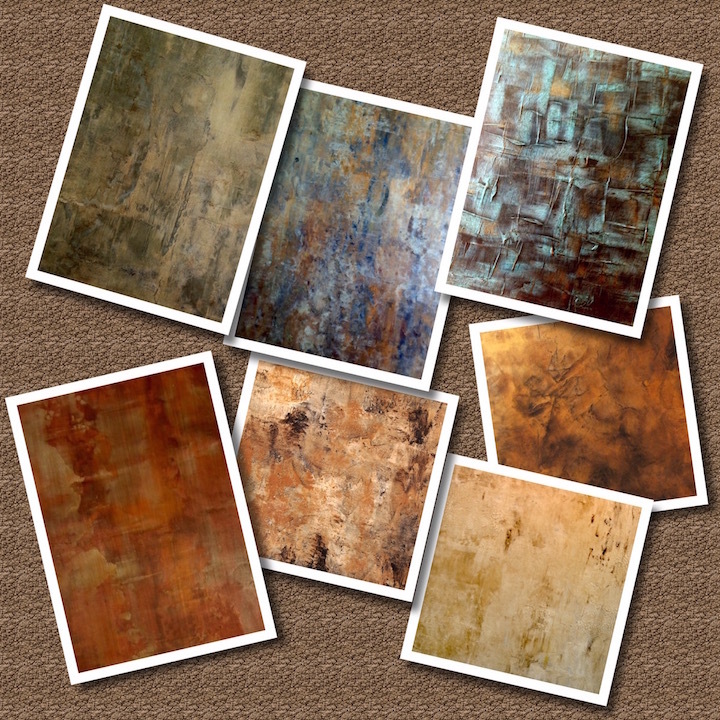 From there, you can decide if introducing Art from Bella Faux Finishes is “Perfect for your project or Not”. Whatever you decide, at least you have tested New Interior Design ideas which will increase your odds of creating a “Wow” project! Don’t take my word for it, read some of the Testimonials we have received through the years or view some of our Project Pictures. Also, take the Wow Test for yourself, just listen to your Friends and Family comments when they go through your home. How many Wow’s did each room get, the Table Lamp, Wing Chair or Sofa? 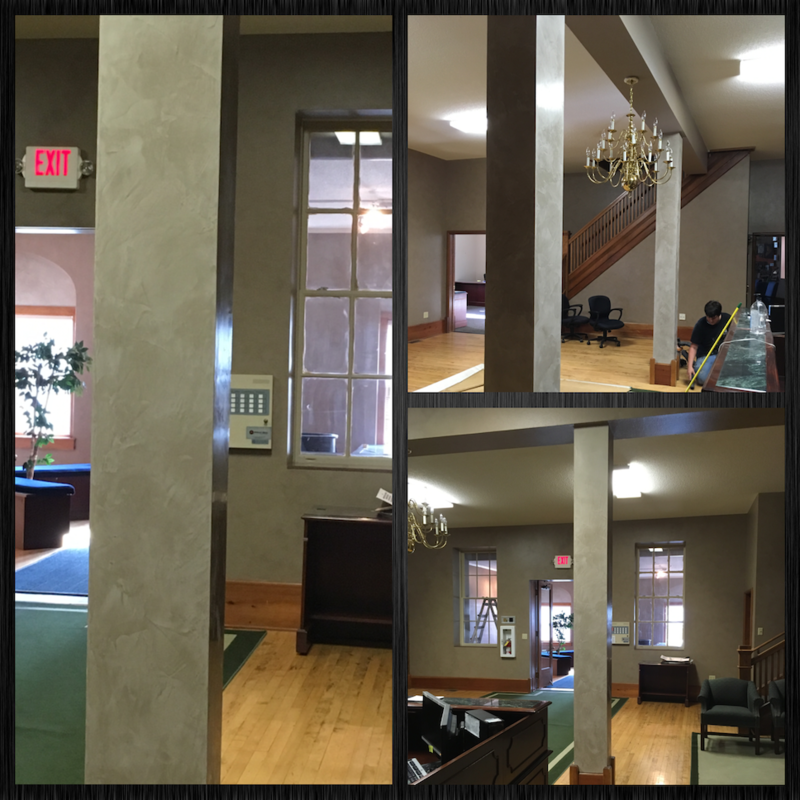 Are they pausing… and trying to figure out the effect you have on your Column, Ceiling, Wall, Niche or other Unique Opportunity? What are the comments your are hearing? Remember keep track of the Wow’s! Do you hear comments every time someone visits your home? Again, I am not saying… don’t buy new furniture, just set aside some of your budget for “The Wow Effect”! 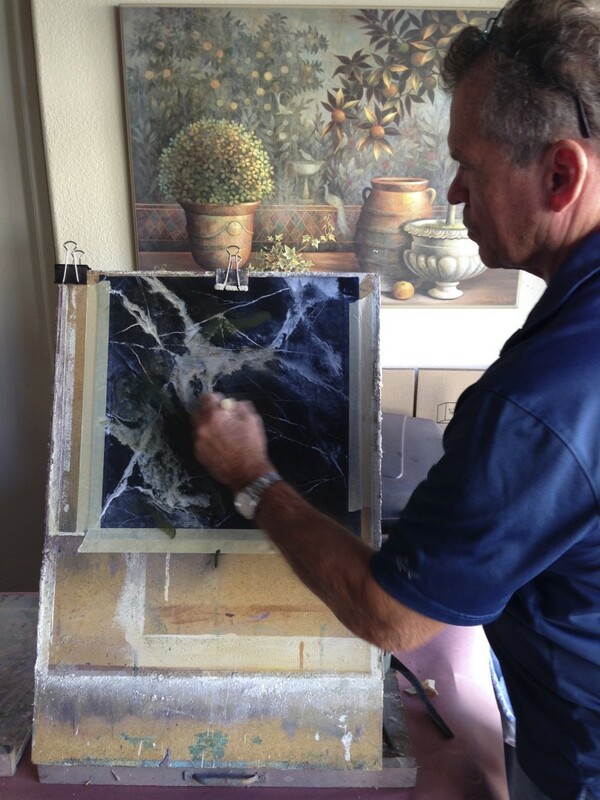 “The Wow Effect” is created with a Deep Understanding of the principles of layering…. “Color, Texture & Effect” through out your project. When you go to a Furniture Store, you will receive Free Interior Design assistance from some very talented people. 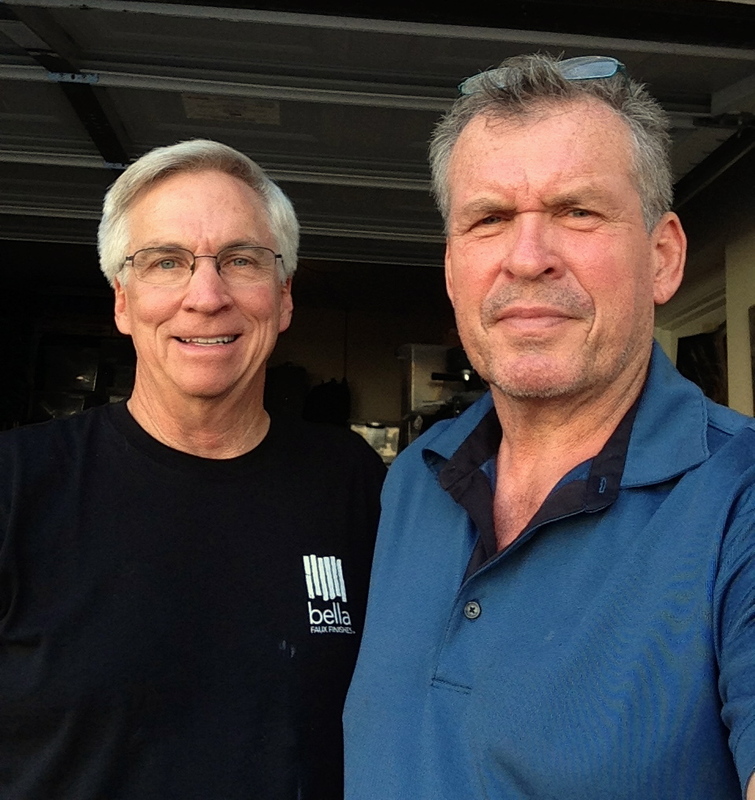 Their goal is to help you coordinate Furnishings, Fixtures and Colors. 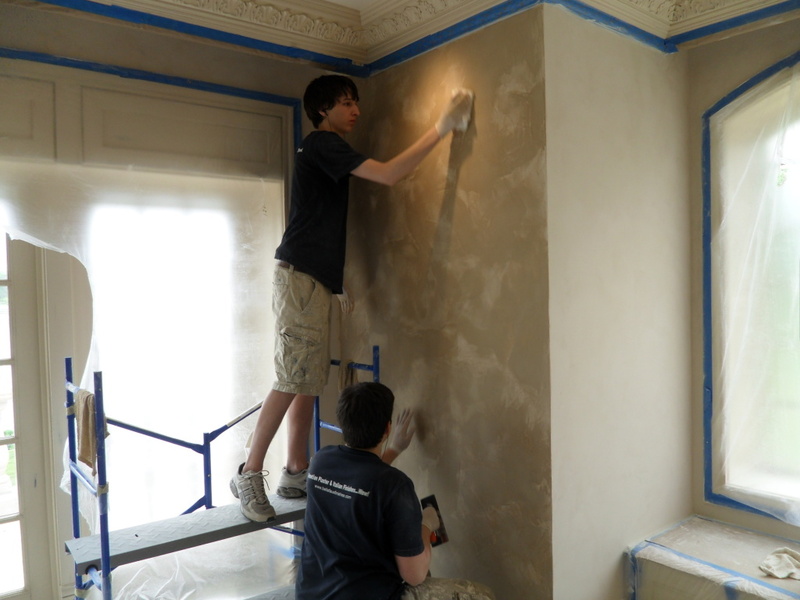 They are very good at this and invaluable on a project! 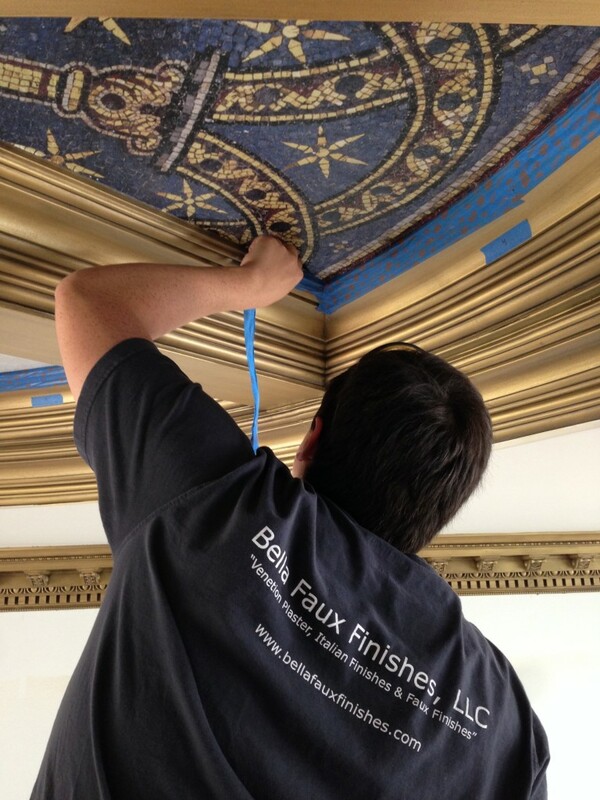 At Bella Faux Finishes, we Specialize at creating… “The Wow Effect” on every project. 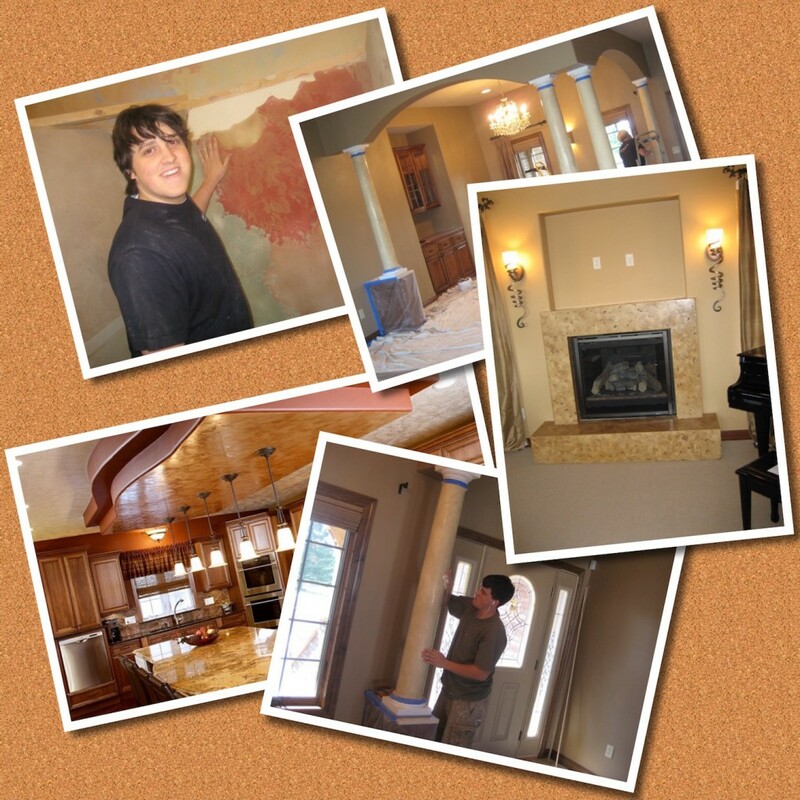 Look at some of our past Project Photos or ask around about our Art. We have been studying and applying the theories of laying “Color, Texture and Effect” since 2005. 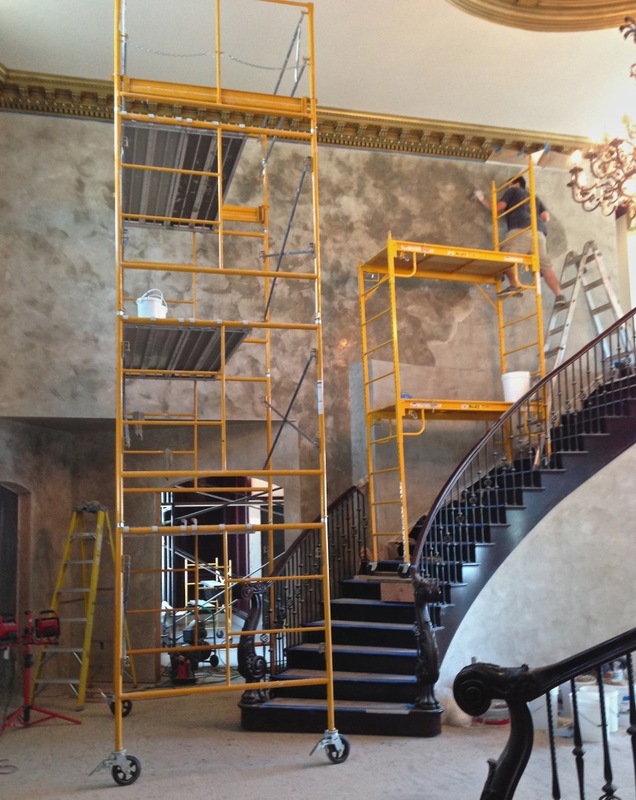 This is a fascinating process that if successful, can control the pace and mood of a room. The Project Pictures, Testimonials and Comments we have received on projects tells us how we are doing with this very Challenging Art! 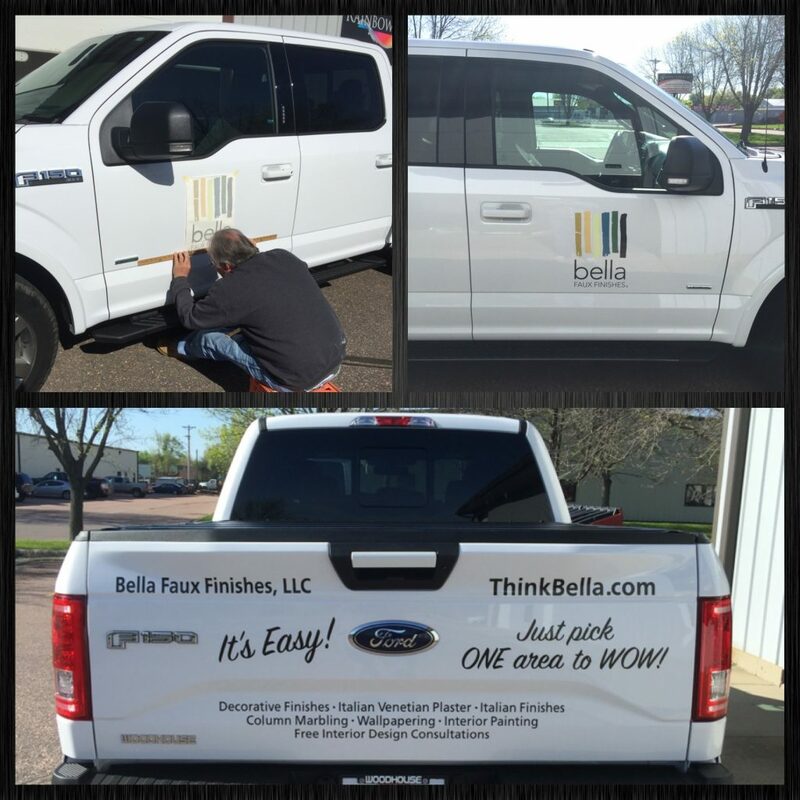 “Bella Wow Checkup” – Identifying the Perfect Location in your Home or Business for a Unique Finish is not as easy as you would think. 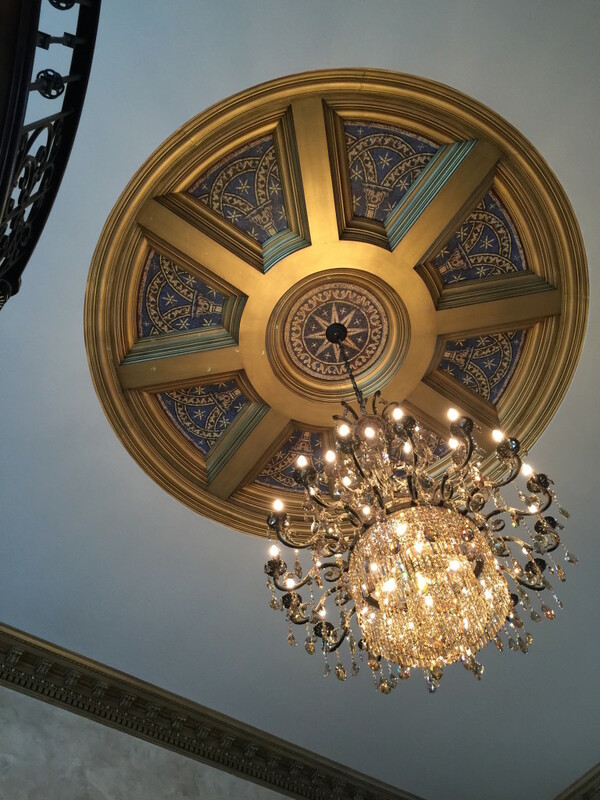 We have been invited to hundreds of projects and have had relationships with hundreds of Decorative Finishes through the years. 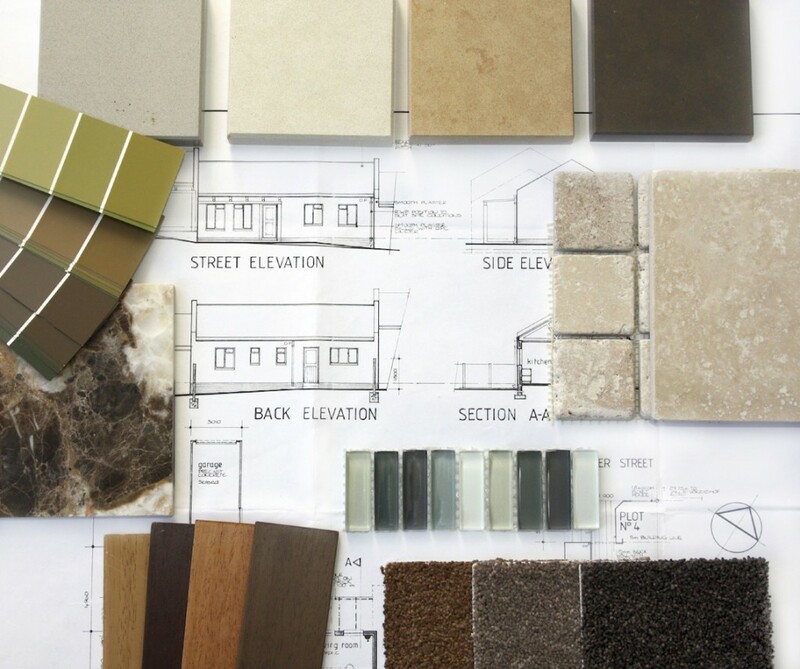 This Specialized Insight, Knowledge and Experience gives us a Big Advantage when the project goal is to create many Wow’s through out the Home or Business. 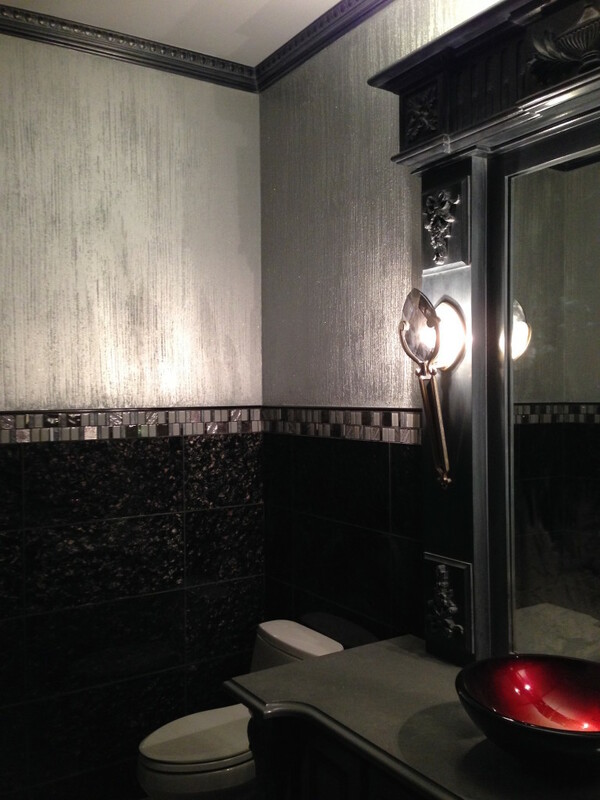 Note – We are not a big fan of introducing too many Decorative Finishes everywhere! This usually will smother any chance your project had of Capturing and Stirring the Drama. 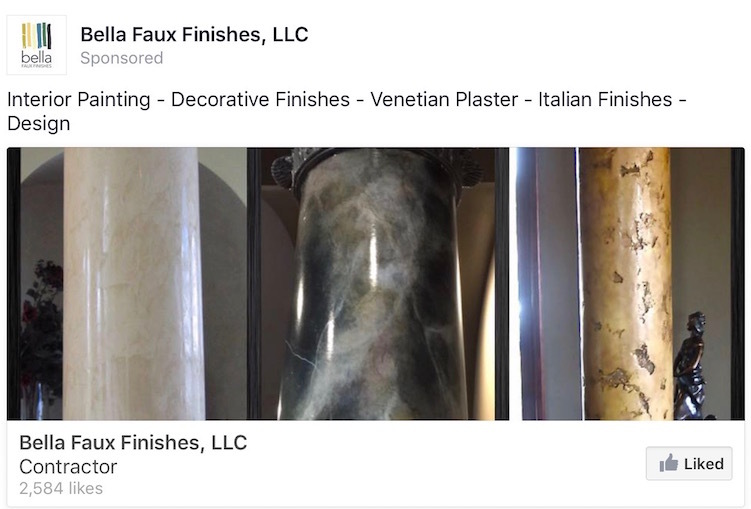 If you are looking for Wow’s on your Project, then I would encourage you to reach out and bring in a company that specializes in Wow’s, Bella Faux Finishes, LLC. 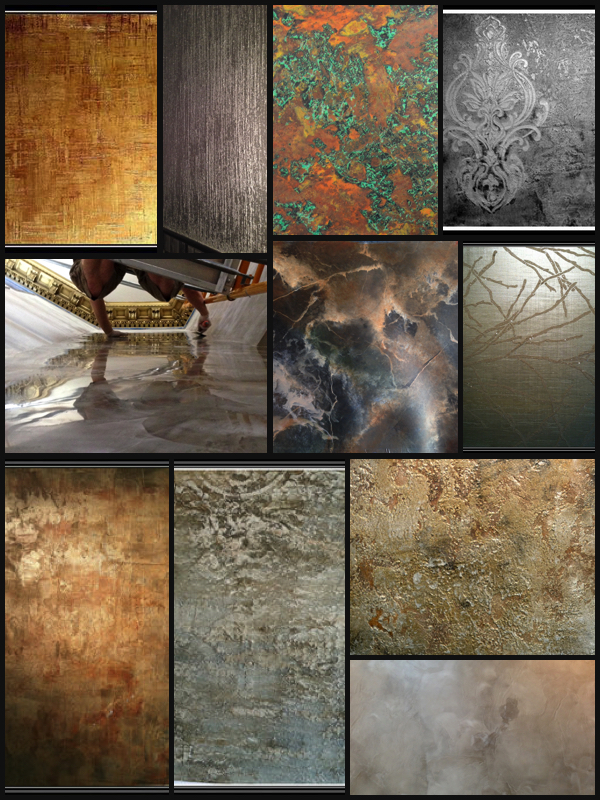 If you Like Us on Facebook, you will be the First to View our New Decorative Finishes and Projects. 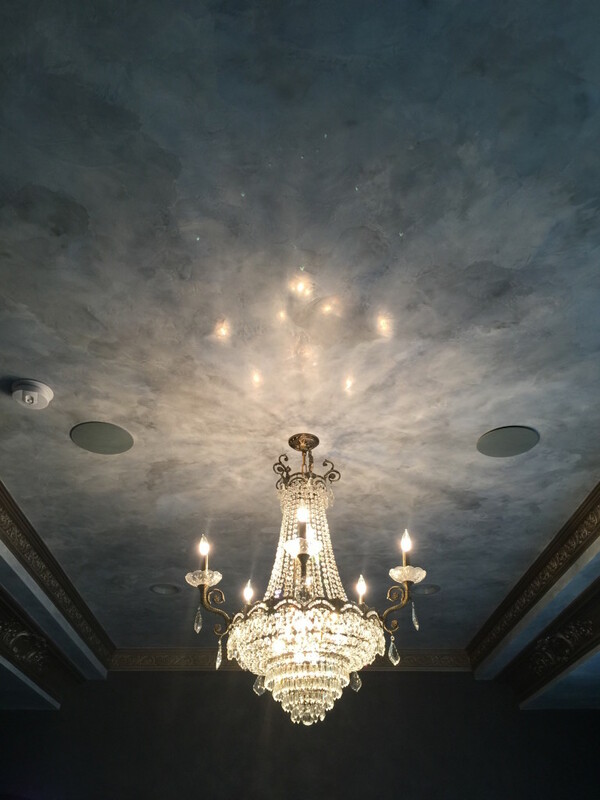 “This One is Addressed to all of the Guys” – If you are thinking that Faux Finishes and Decorative Finishes are just for the girls, this is something that only the women are interested in? Well… You are So Wrong…… “GrassHopper”!! 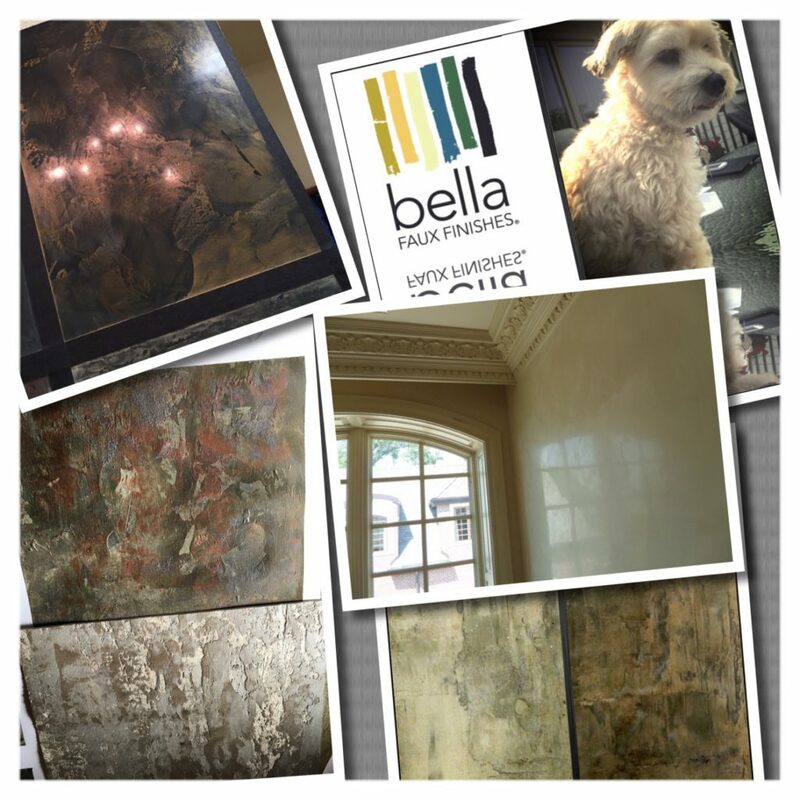 Bella Faux Finishes History – Since 2005, we have been honored to share our Art on many Homes & Business’s through the years… Large and Small. Every one of our Large Projects have been Initiated and Coordinated by a Strong Male that has traveled the world, with his eyes wide open. Hungry and Looking for Unique Interior Design Ideas. 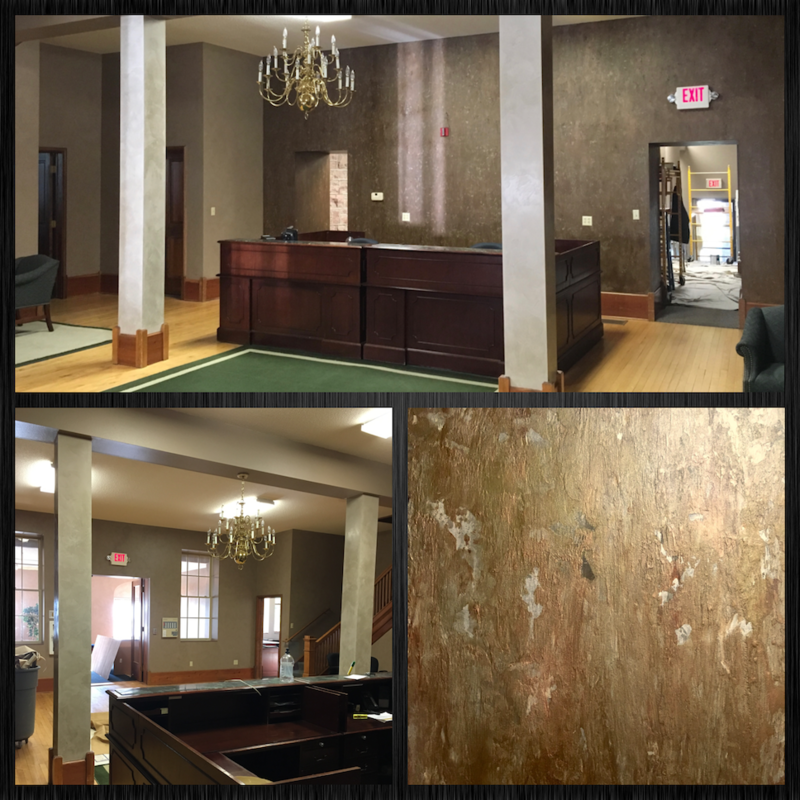 They have Visually Experienced what can happen on a project, when you introduce the “Perfect Decorative Finish” on a Unique Area in your Home or Business. 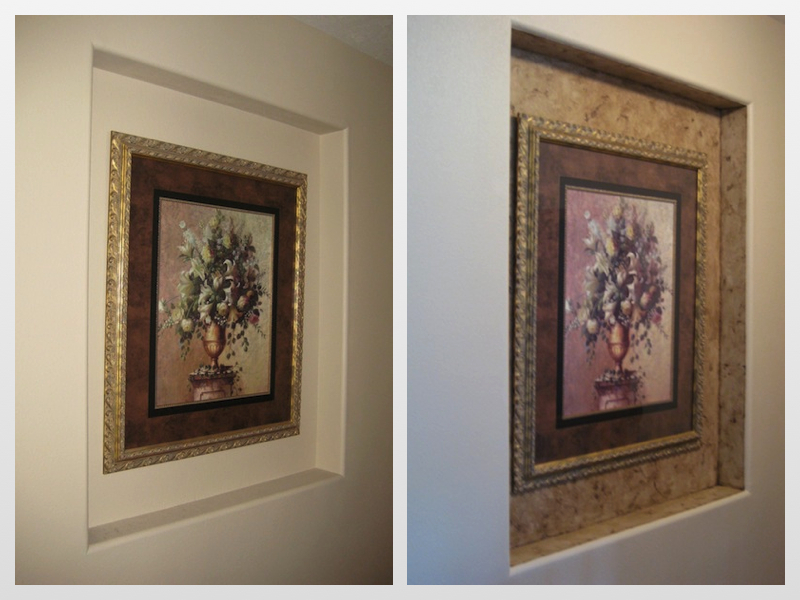 “Important – Longevity Years Down the Road” – David and I, Trademarked the name Bella Faux Finishes (R), a number of years ago, because we knew this idea was going to be a really big deal for our future and we both loved this Art! 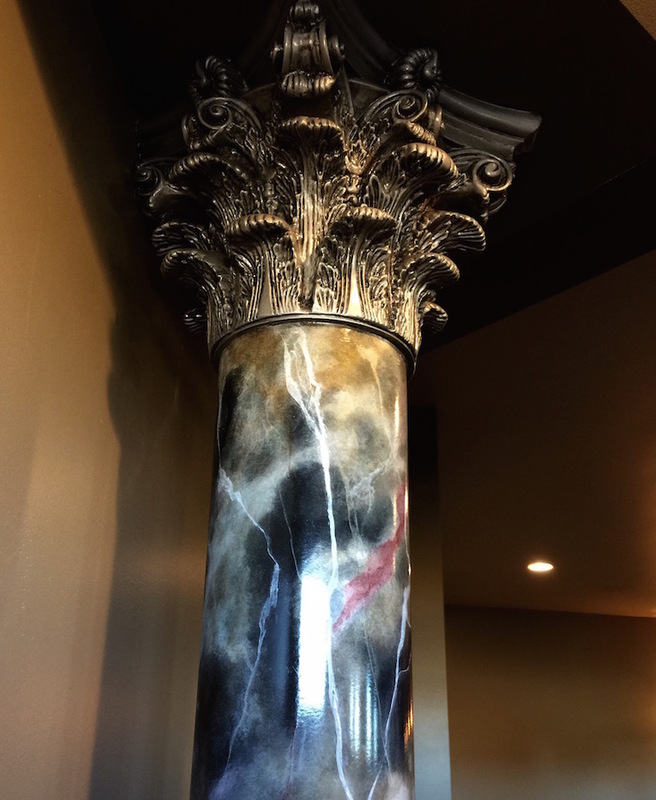 Choosing a Decorative Artisan – When you are making the decision on which company for your Decorative Finishes, its important to know that Bella Faux Finishes will be there for you or the next owner… years down the road. Oops… Accidents Happen! 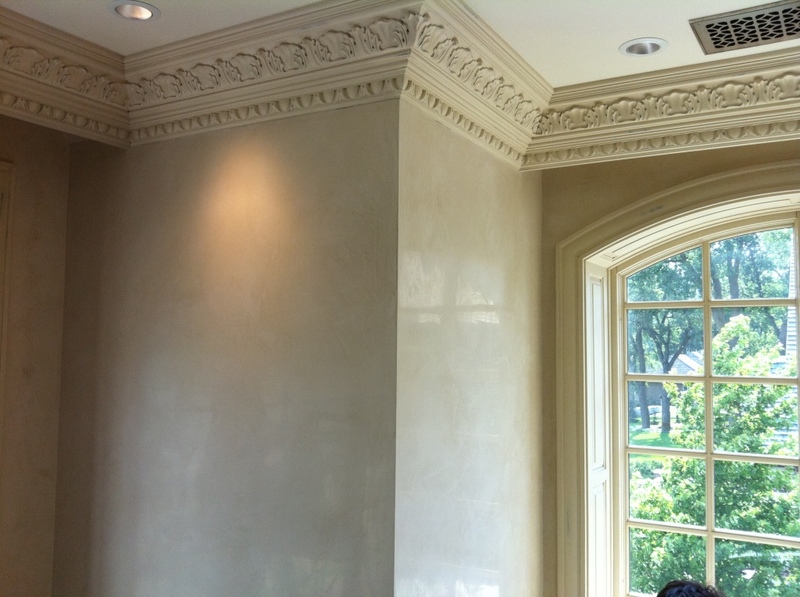 – At Bella Faux Finishes, we get so many calls for touchups on Decorative Finishes and Faux Finishes that we did not do. 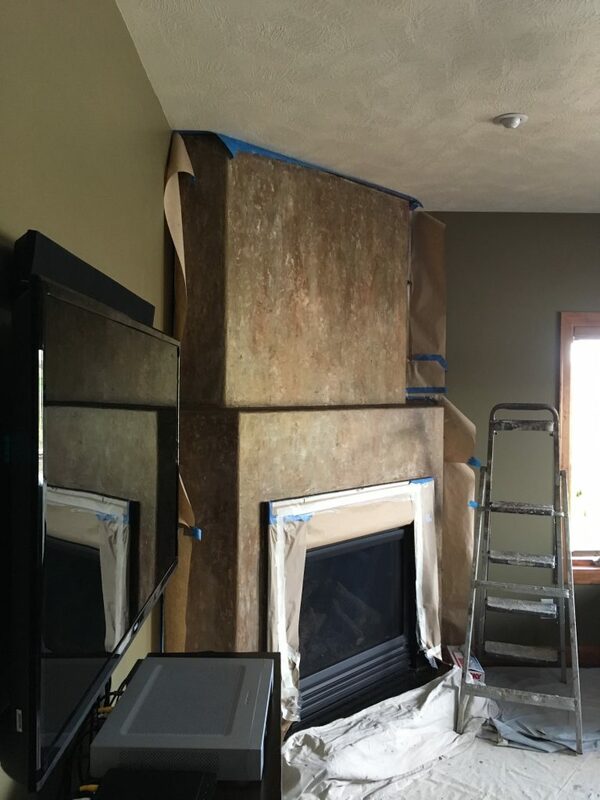 If it would have been our Art, we would have known what products and methods were used, then we would gladly try and repair the damaged area. 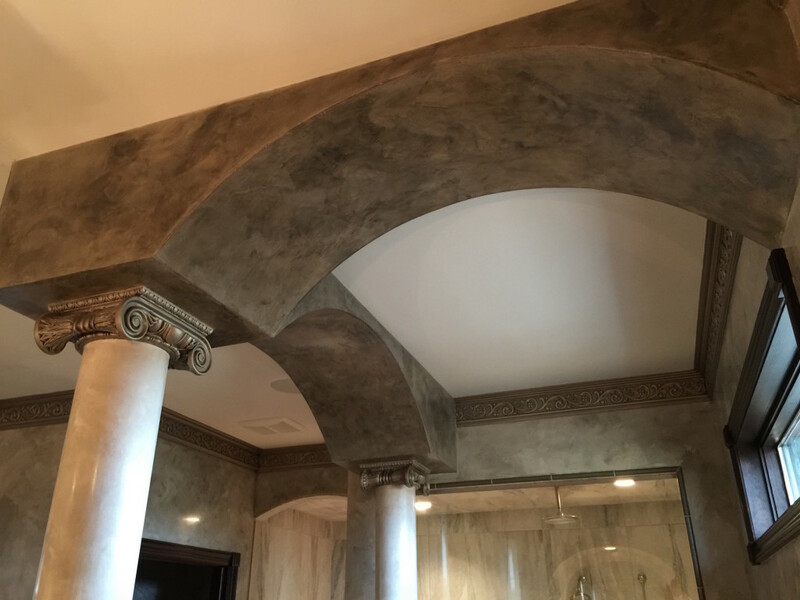 Something to keep in mind, we have worked hard to grow Bella Faux Finishes, building our Reputation of offering the Best Decorative Finishes, Faux Finishes, Italian Venetian Plaster and Italian Finishes from around the World. 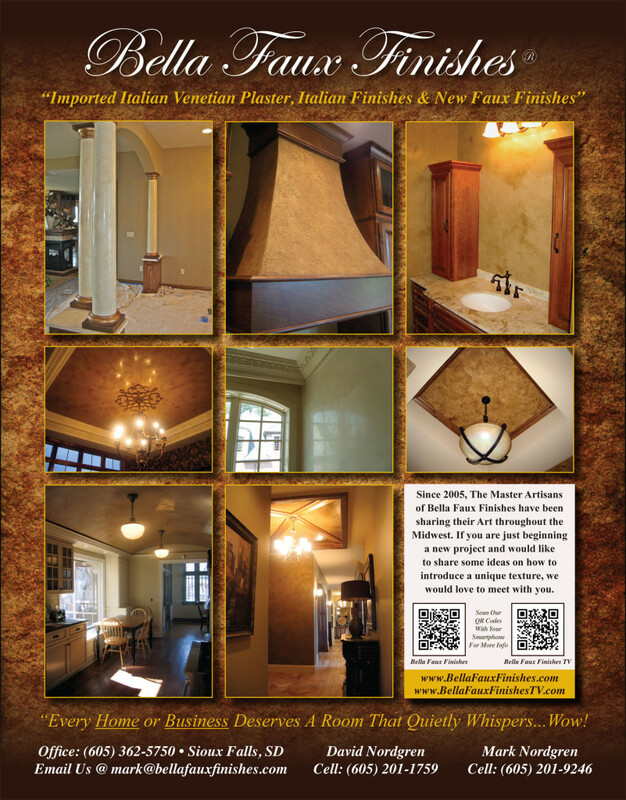 We have one of the Largest Portfolios of Italian Venetian Plaster, Italian Finishes, Decorative Finishes and Faux Finishes in the Midwest. You have so much to choose from! 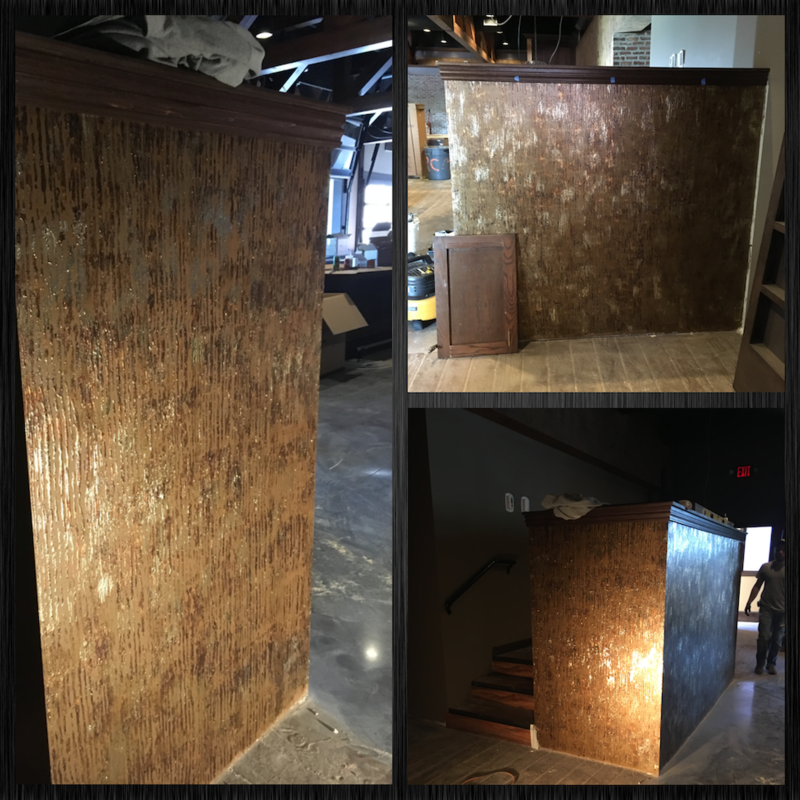 Also our Work Ethic is a Passion to Create the Perfect Decorative Finish, on Schedule, on Budget… with the Job Site as Clean as we can get it. 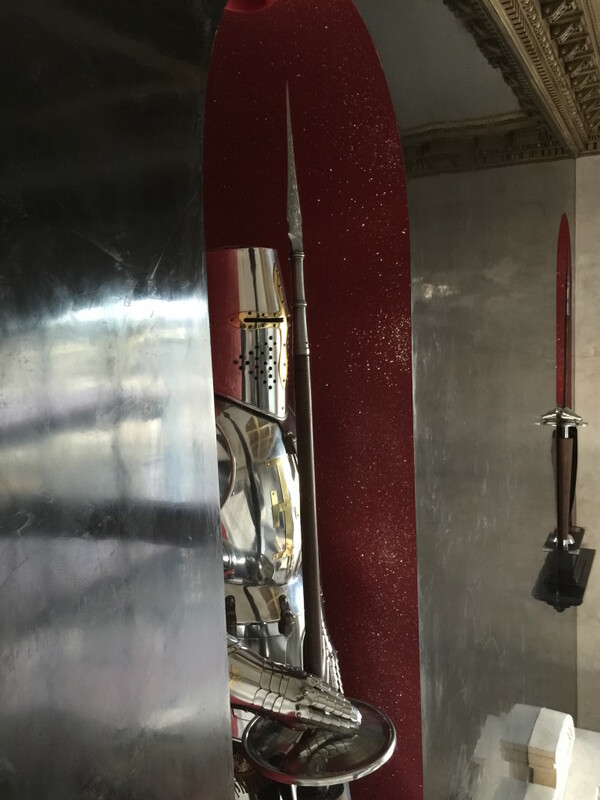 We also take great Pride in the Studio, creating and presenting Unique Art and sharing our Interior Design Ideas! 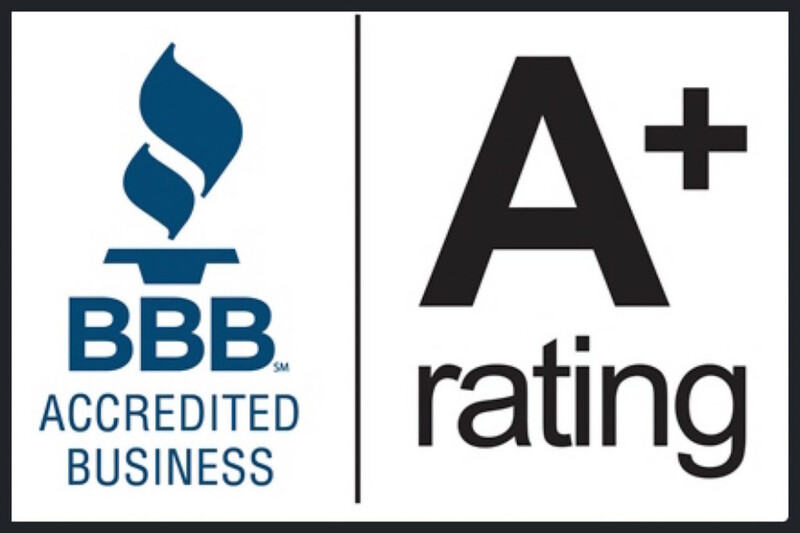 Again, if you are interested in a “Free Wow Check Up” for your Home or Business, Just Call or Text David, at (605) 201-1759. He will get back with you to schedule a meeting. Below, If I have raised your Curiosity, but don’t have a project yet, then just Like Us on Facebook. 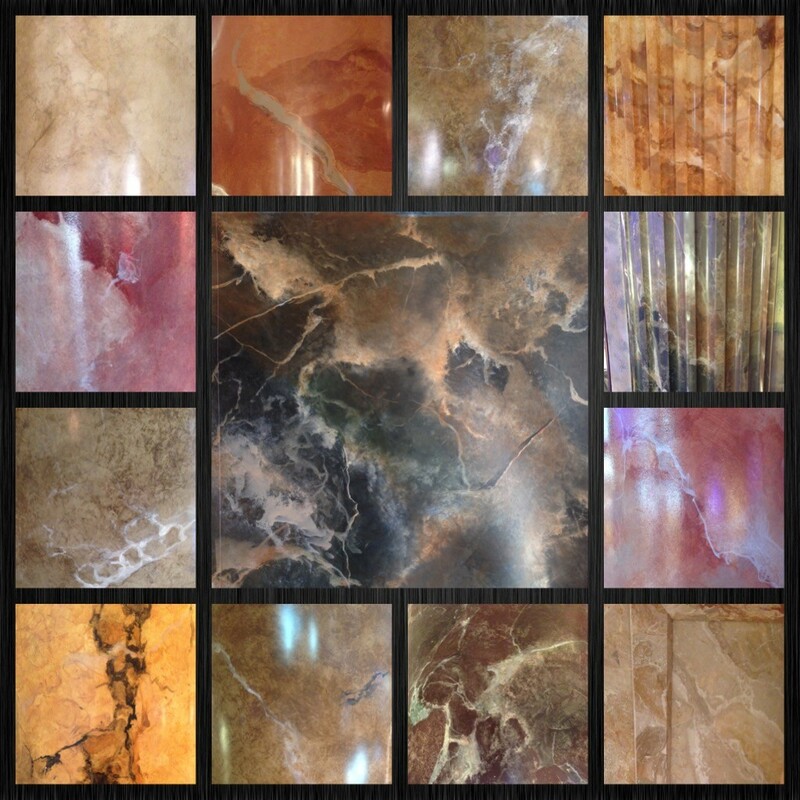 You will be the First to View our New Decorative Finishes and Projects. 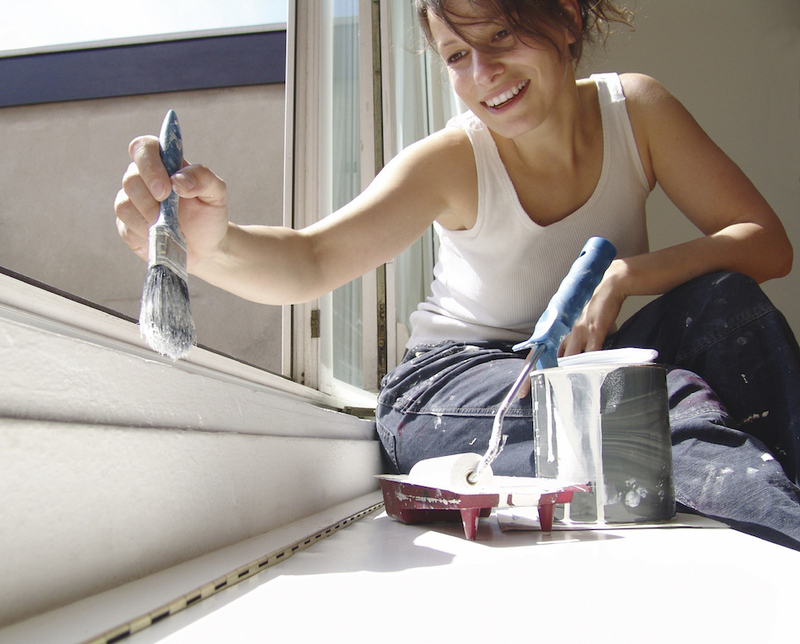 This may give you some ideas, for when you are ready to begin your New Project! We are honored to have a large following of fans that are doing exactly what you are doing… capturing ideas to prepare for a future project! Finally, I wrote this quote back in 2005. I still believe this is true today and it is how we approach each and every project! 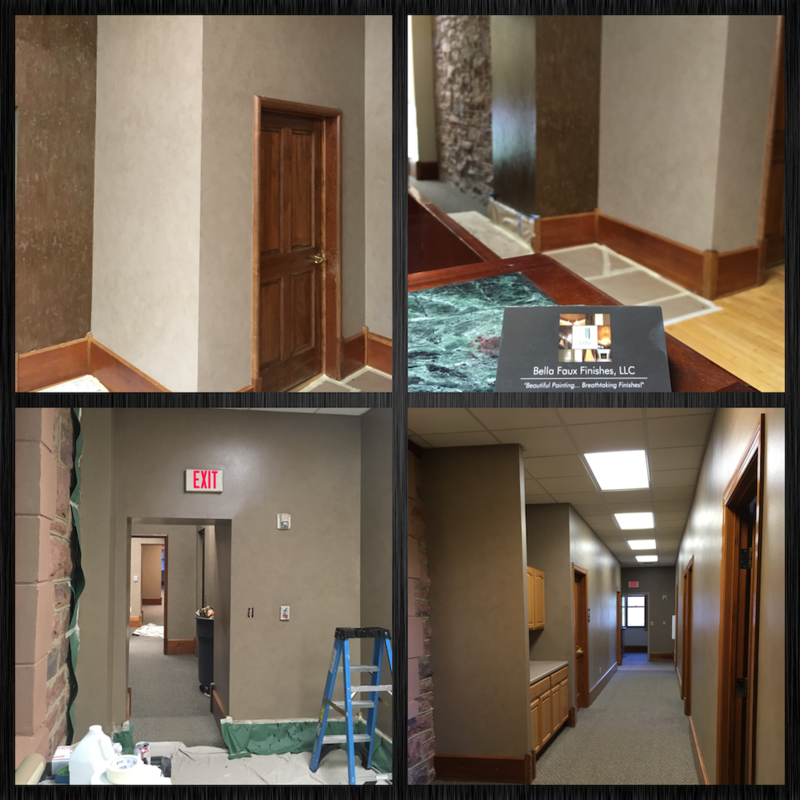 Below a Stunning Commercial Project in Sioux Falls, South Dakota. 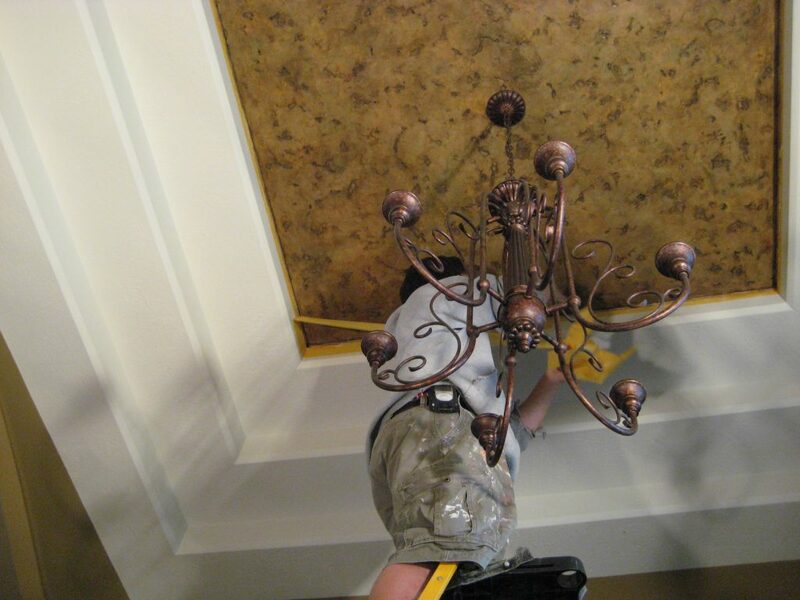 Here is a Unique Decorative Finish that has one more layer of Effect to apply. Get Ready, you will hear more about this Fun Place to go to down the road! 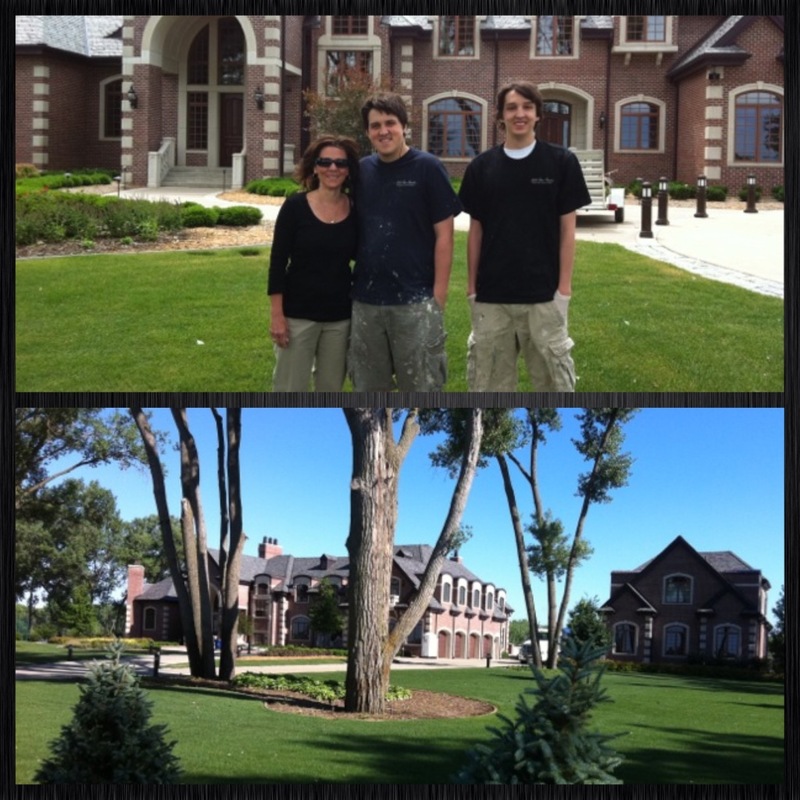 Awesome Theme… Awesome Owners! Below Keith Urban, takes a song that really didn’t do well when it was released and “Crushes it” with a level of Passion that all of us should apply to our Craft. We have seen him twice, he is so Good in concert! 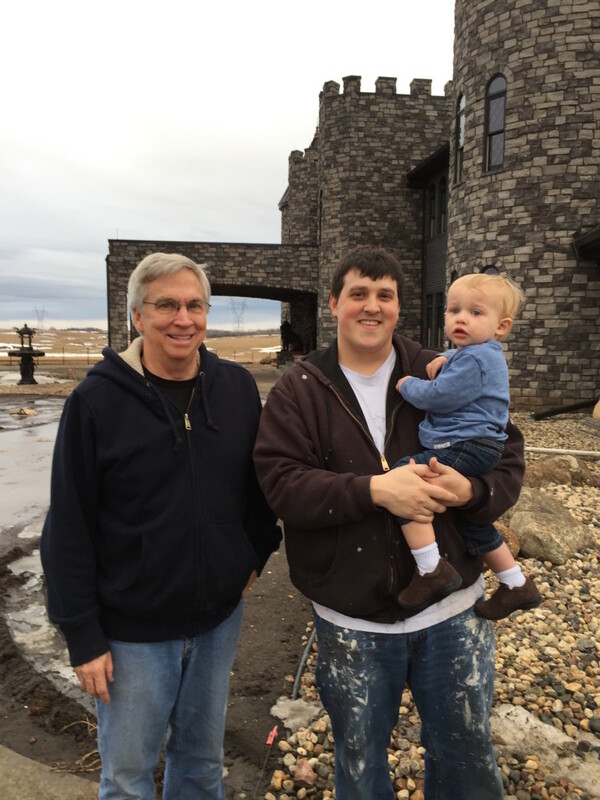 “My youngest son, Michael Nordgren has helped us on so many projects in the past. 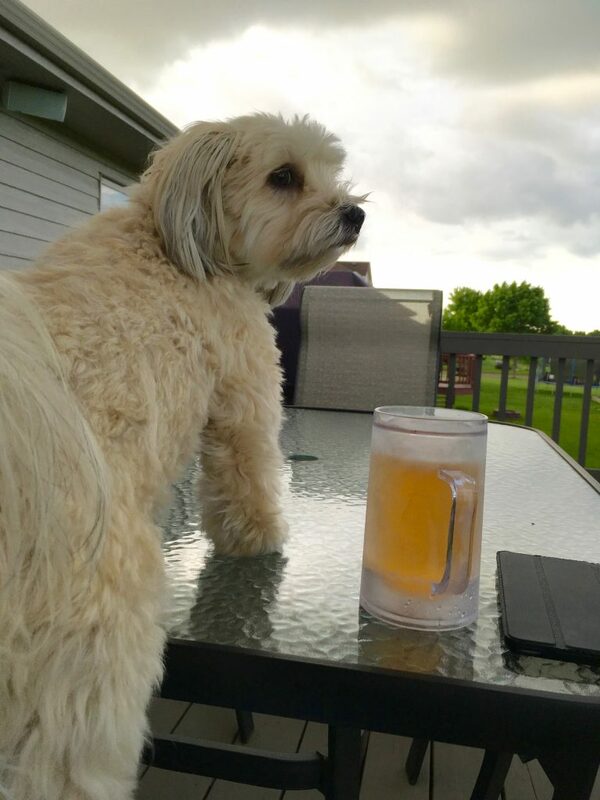 He just got his Masters at Minnesota State University and we had him back for two weeks. 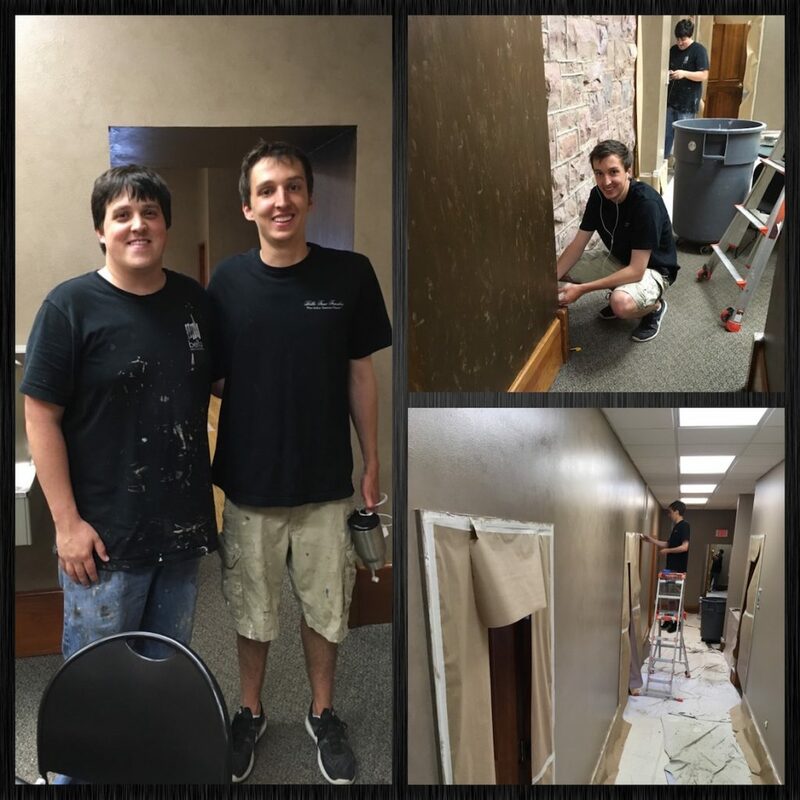 So David put him to work before he heads off to Ohio State University. Michael accepted an Intern Athletic Trainer position, we are so proud of him, what a Fun Year he will have! 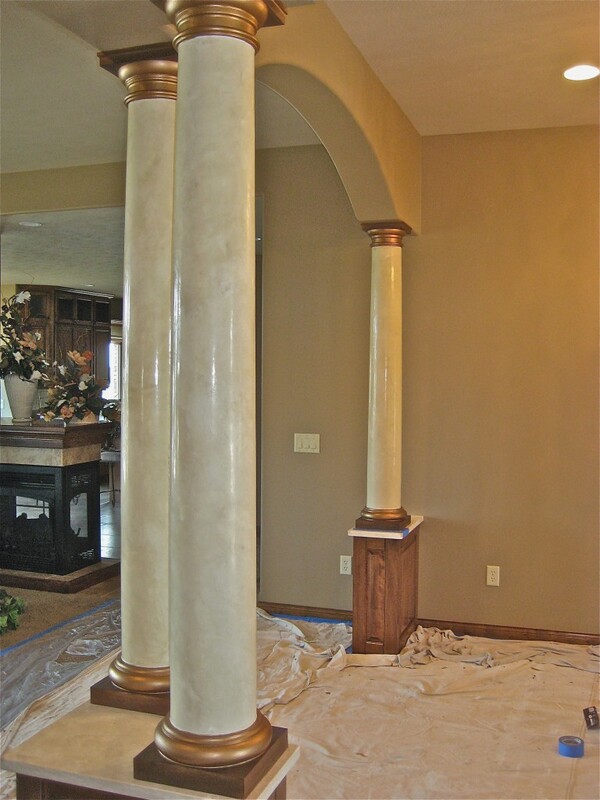 Below is a Historic Restoration project, we changed old drywall columns into Marble Columns with Imported Italian Venetian Plaster. 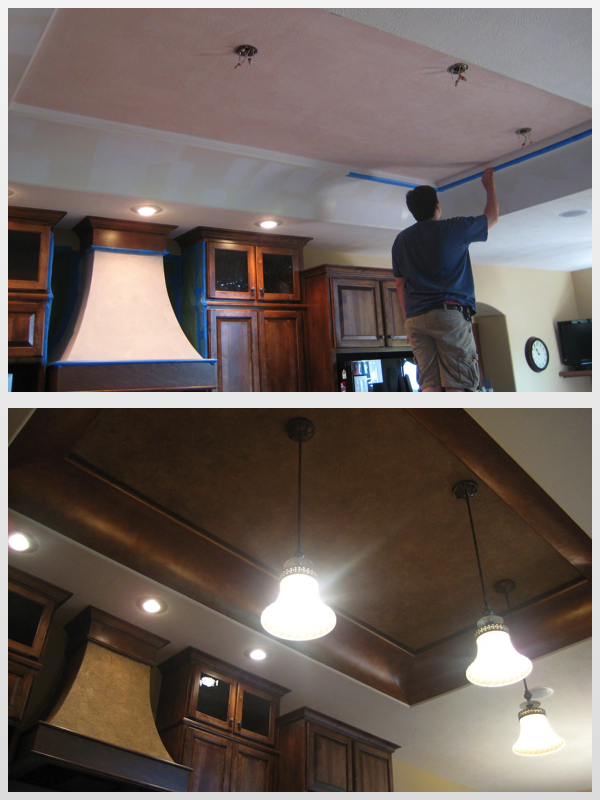 Walls were painted and finished with a “Bella Glaze”, one of the Softest Finishes you will ever see. 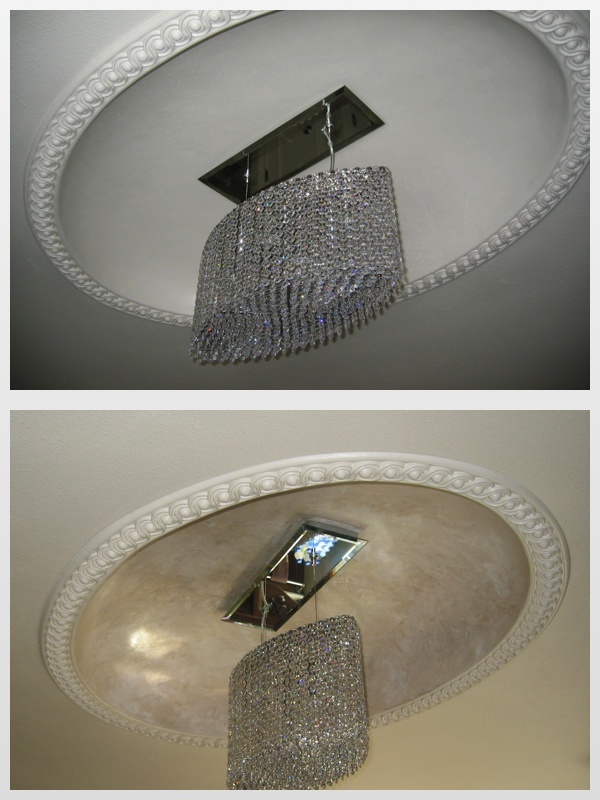 Subtle movement that will enhance Everything in the Room! Pricing? This is Affordable for anyone, we price it so it will fit in any budget. 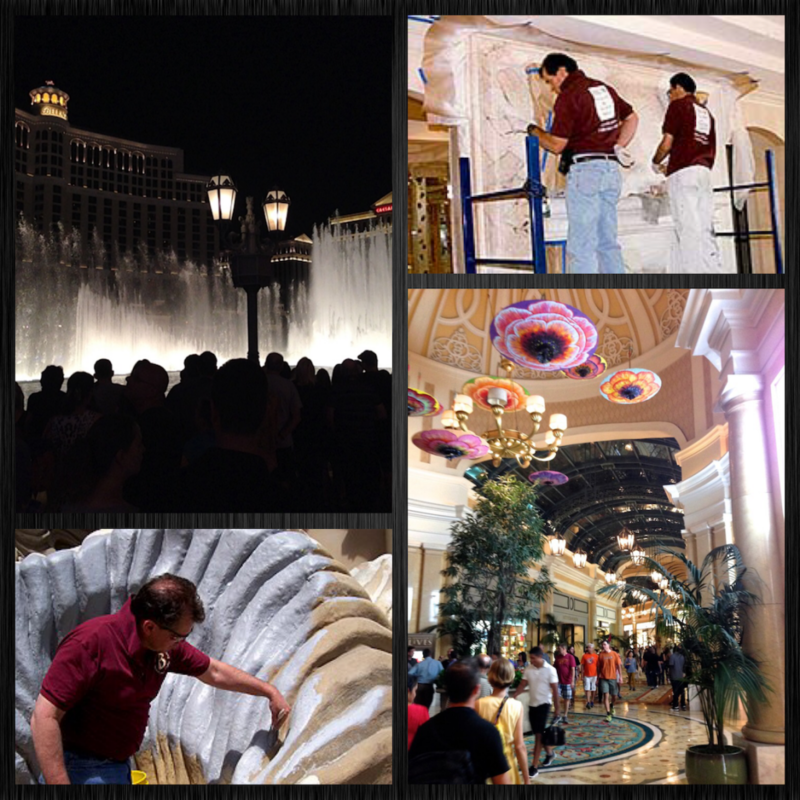 “Below, this was a Fun Project with Awesome Clients that were specifically looking for unique Decorative Finishes from around the world. David and I were honored to have the opportunity to share our Art! We were there about a year. Below… another Fun Project that we were on for about 8 months. 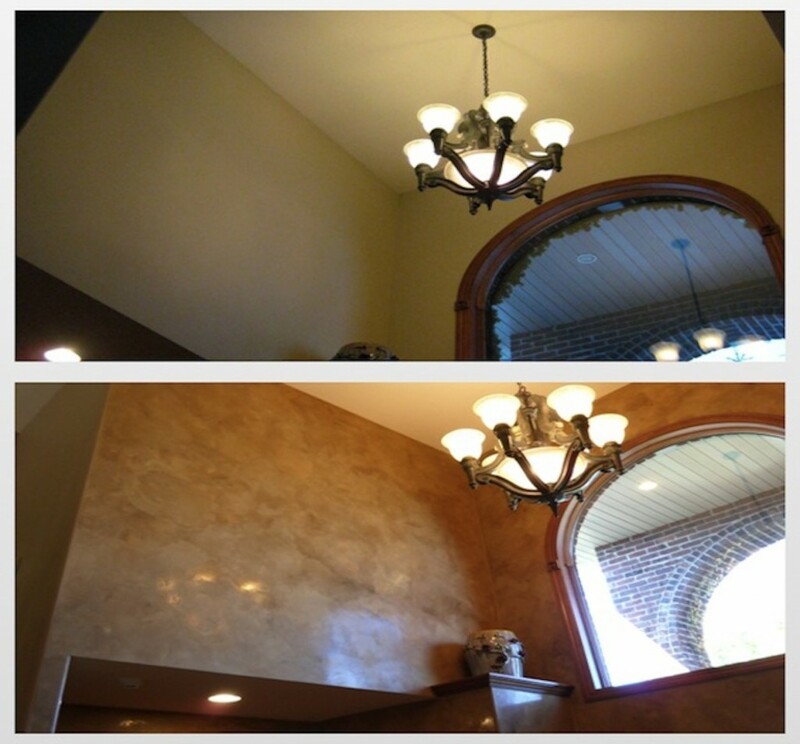 We applied Italian Venetian Plaster on the walls. 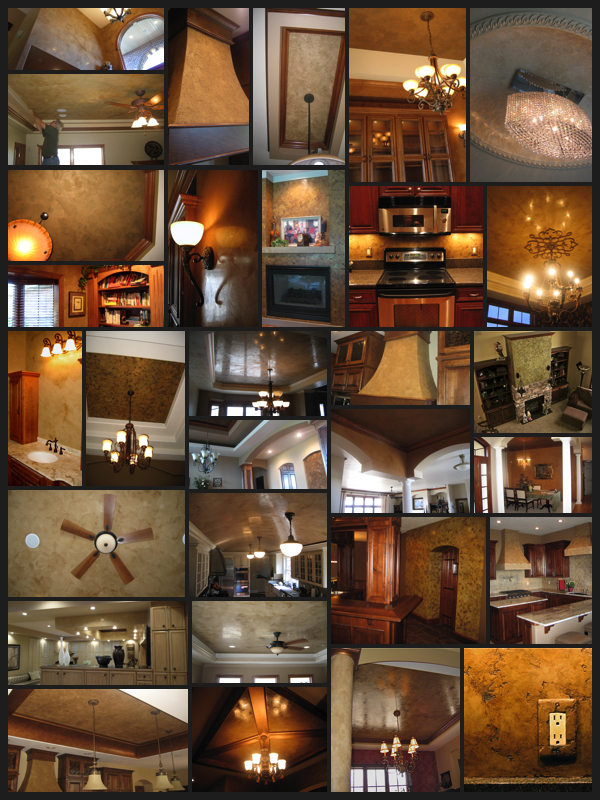 Stunning, Breathtaking Home… Awesome Client with so many Unique Ideas, Incredible! 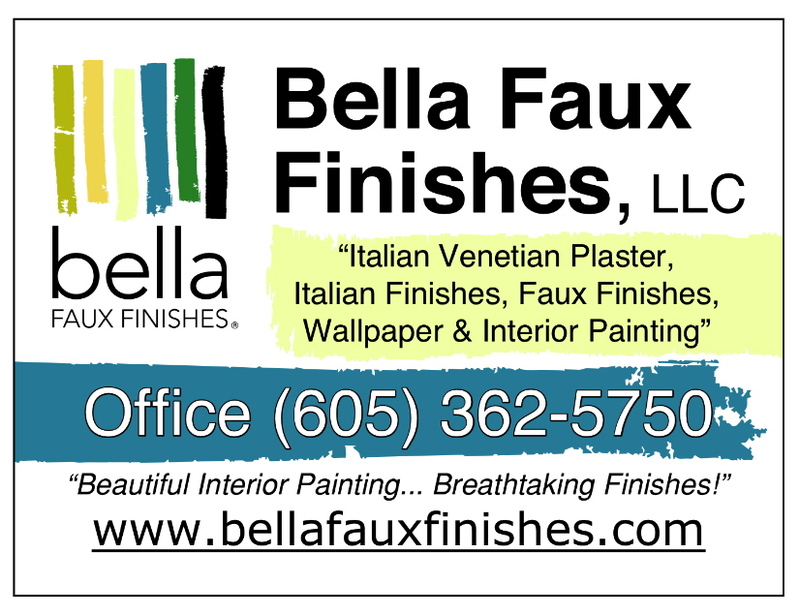 “Bella Faux Finishes will be offering many “New Marble Finishes” later this year. 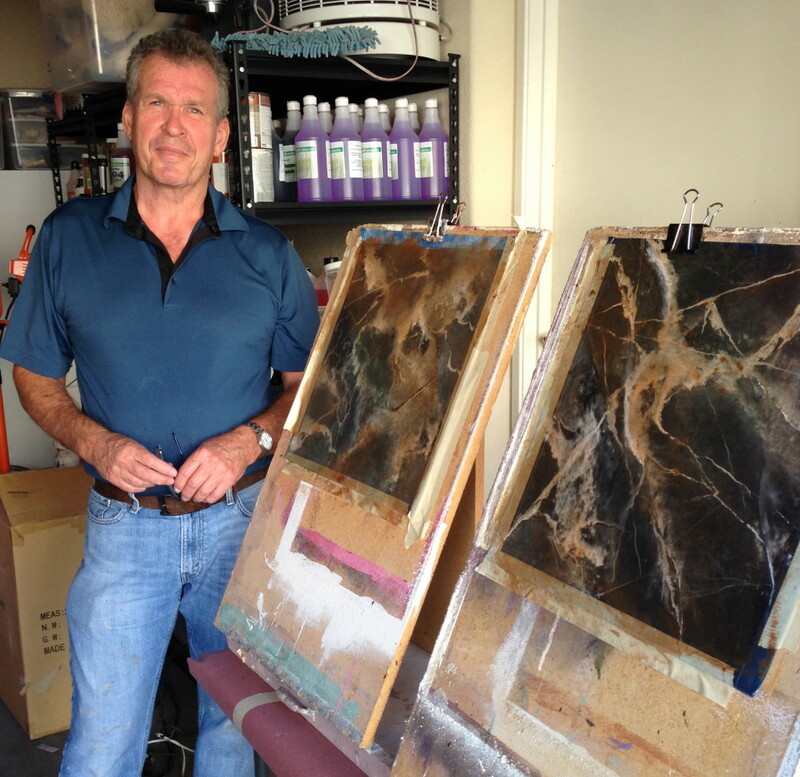 Below, I will be meeting with one of my Mentors again – “Las Vegas – Master Theme Artisan – Barth White”, to take our Marbling Skills to the Next Artisan Level and embed in my mind and hands, a Deeper Understanding of the Challenging Techniques of Marbling.